We’ve had a couple of days of on and off showers, coming down in buckets, then suddenly clearing. When this happens late in the day and the sun is low, it is the perfect opportunity to see a rainbow. This one was a beauty. Make a wish! This entry was posted in Inspirational Quotes, My Photos and tagged beauty, inspiration, photography, rain, rainbow, rainbow trail, Robert Motherwell, showers, summer rain, wish. Bookmark the permalink. Someday you will 🙂 I had to move quickly, they come and go in the blink of an eye. Thanks, Sreejith! I’ve never seen a rainbow like this in my whole life. So many layers and colors… Breathtaking! Thank you! It had many more layers than I have seen before and there was a very faint double above it that isn’t in the photo. One happy event! 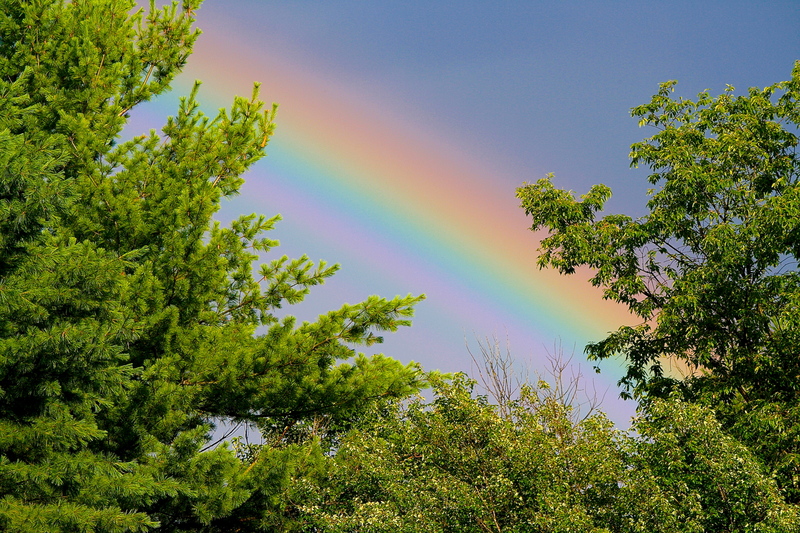 When I see a rainbow it is such a wonderful surprise! To see one this perfect and full and close is quite a gift. I wish I could take a photo like this!! beautiful…violet is vivid! 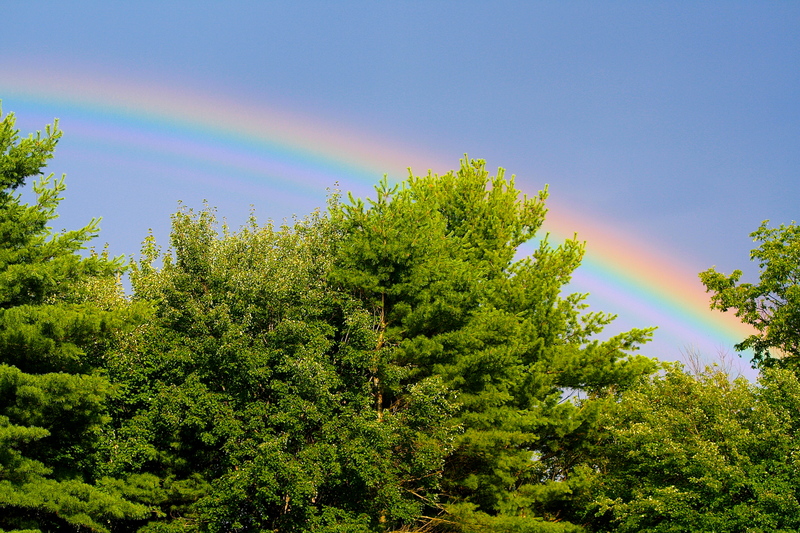 you got a great shot-another magical photo…..one never gets tired of seeing a rainbow! So true! Seeing a rainbow is always magical! Wow! A fabulous shot of a perfect rainbow! That was a beautiful rainbow. I love the imagination they always elicit! What wonderfully clear photos you were able to capture! Happiness shimmering in the air!